This is not the official installation package for Breadcrumbs Manager. This package is only meant for evaluation and is NOT GPL. Once you purchase the product you will be able to download the full open-source GPL version. This is a version of the Breadcrumbs Manager manual in Microsoft Help format. This is a version of the Breadcrumbs Manager manual in PDF format. 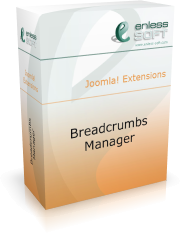 This file will allow you to translate custom breadcrumbs items with Joomfish. You must put this file in "/administrator/com_joomfish/contentelements" after you install Joomfish. Tested with Joomfish 2.2.3.